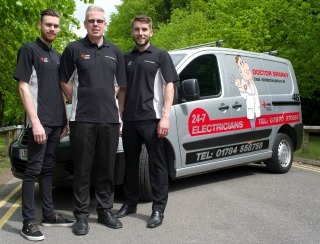 Www.doctorsparky.co.uk is a site operated by Doctor Sparky Ltd (“we” or “us”). We are registered in England and Wales under company number 071298884. Our registered office address is East House, 109 South Worple Way, London SW14 8TN and our email address is info@doctorsparky.co.uk. Our VAT registration number is 983 9173 69. You must not use any part of the materials on our site for commercial purposes without a licence from us, or our licensors. You may not reproduce in any format (including on another website) any part of our site (including content, images, designs, look and feel) without our prior written consent. If you wish to make any use of material on our site other than that set out above, please address your request to info@doctorsparky.co.uk.